Children in kindergarten have a natural and innate curiosity about the world they live in. If you’ve checked out any of our STEM activities before, you’ll know that STEM projects integrate learning across the subjects of Science, Technology, Engineering and Mathematics. 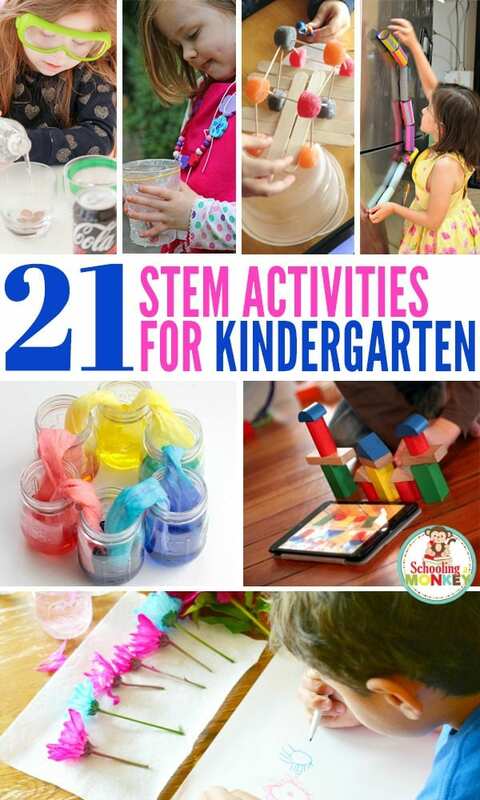 These STEM activities for kindergarten are the perfect way to introduce STEM to the youngest learners! STEM activities allow young children to investigate and explore, learning in an active, hands-on way that makes the child an active participant in their own learning. And for those who know a kindergarten aged child, there is no doubt that they learn best when they are active and engaged! Today, I’ve collected together 21 great STEM activities for kindergarten children aged around 5-6 years (though many of them are fun for older kids too). For convenience, the list is divided into the four main STEM categories however these activities all integrate learning across two or more of the four subject areas – plus they’re simply lots of fun! 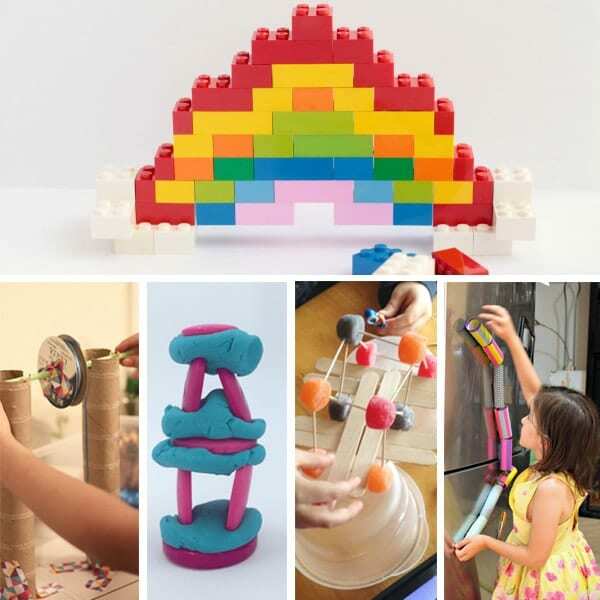 Kids will have a blast learning with these science experiments and stem activities! WHAT ARE STEM PROJECTS FOR KINDERGARTEN? STEM is not so much a topical study as it is an approach to teaching and learning the subjects of Science, Technology, Engineering, and Math. 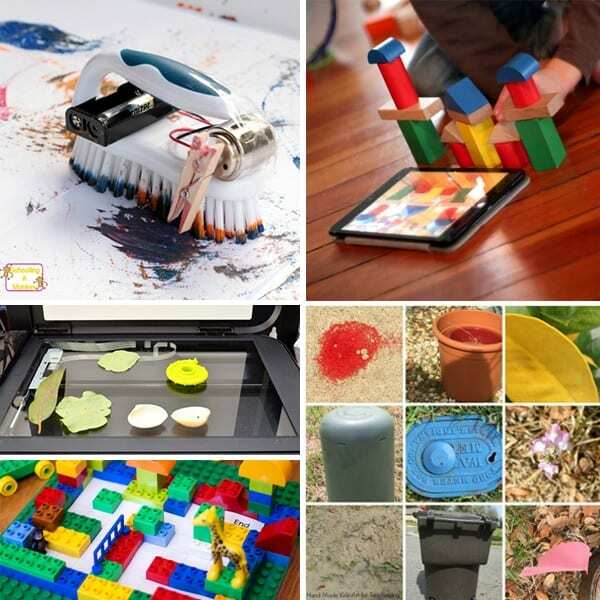 STEM activities use all of these subjects together to solve real-world problems. Download the FREE STEM Supply List! A STEM activity uses elements of Science, Technology, Engineering, and Math to solve problems. All STEM activities are inquiry-based, which means they are designed to answer a question (often a question the child creates herself). STEM activities encourage children to see subjects like math and science in a new light, and how to use those subjects to solve their day to day problems and the problems that they might face as adults. All STEM activities should contain elements of at least two disciplines in STEM, and all of them when possible! As critical thinking and creative thinking become more and more important, STEM activities provide a safe and fun way for children to explore the concepts of science, math, engineering, and technology in a kid-friendly and fun way. Even if a child never goes into a STEM field as an adult, engaging in STEM activities will encourage problem solving, logical thinking, and creativity in any industry. At the pre-elementary and elementary level, STEM is about exploring STEM subjects in a fun and hands-on way. We’re passionate about STEM activities and have tried hundreds of projects over the years. Use this resource as a simple way to get started with your own STEM challenges for kindergarten. WHY SHOULD I DO KINDERGARTEN STEM ACTIVITIES? Many schools require some form of STEM education in the classroom. But you don’t have to be a teacher to do STEM activities with kids. You can also try some at home, during school holidays or over the summer. Not only do STEM activities help children learn how to solve problems on their own, but it also allows hands-on kiddos to learn in a way that makes sense to them. Children who need to touch and feel to learn effectively will thrive in a STEM-focused classroom or home. Start when kids are young, and they will have a love of science and exploration that will last throughout life! 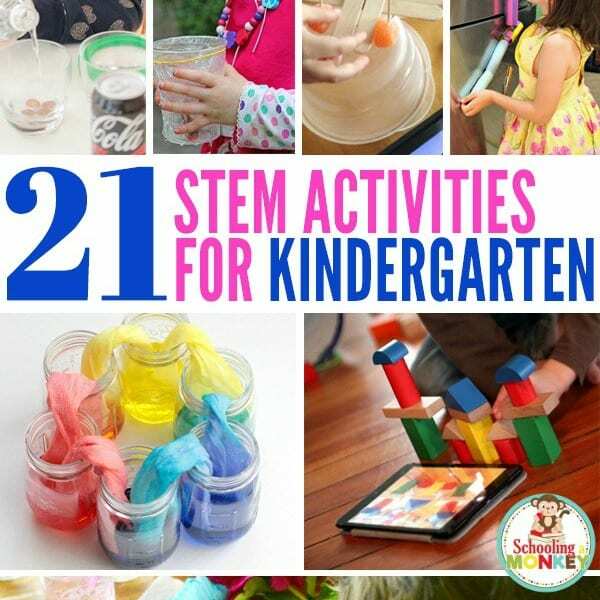 Try these fun STEM activities with kids in kindergarten. They will love these fun hands on ways to learn through science! Kindergarten STEM activities have never been so fun before. 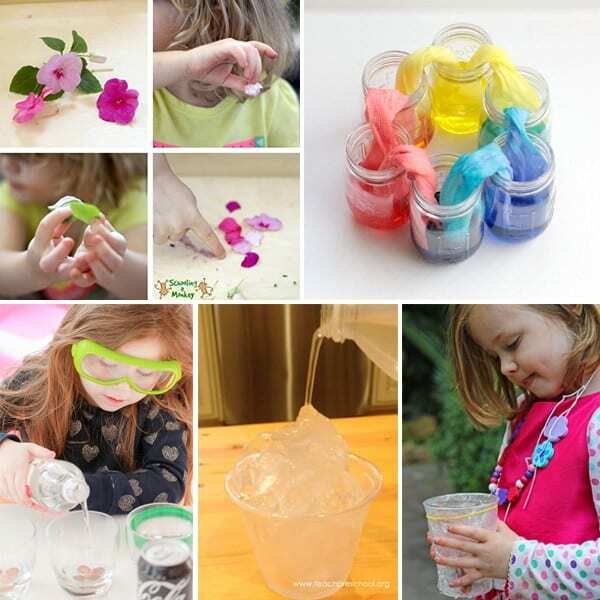 These science experiment ideas are perfect for kindergarten age kids. Technology can be used even by the youngest learners! Learn the basics of engineering in kindergarten with these engineering activity ideas. 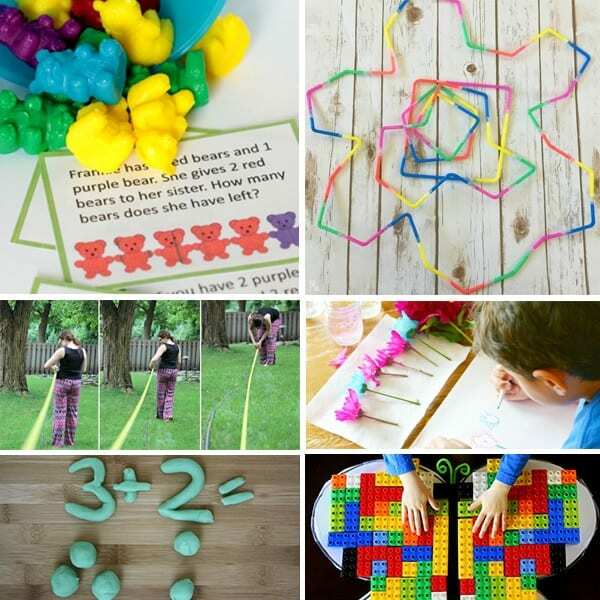 Try your hand at learning with these fun math activities for kindergarten.